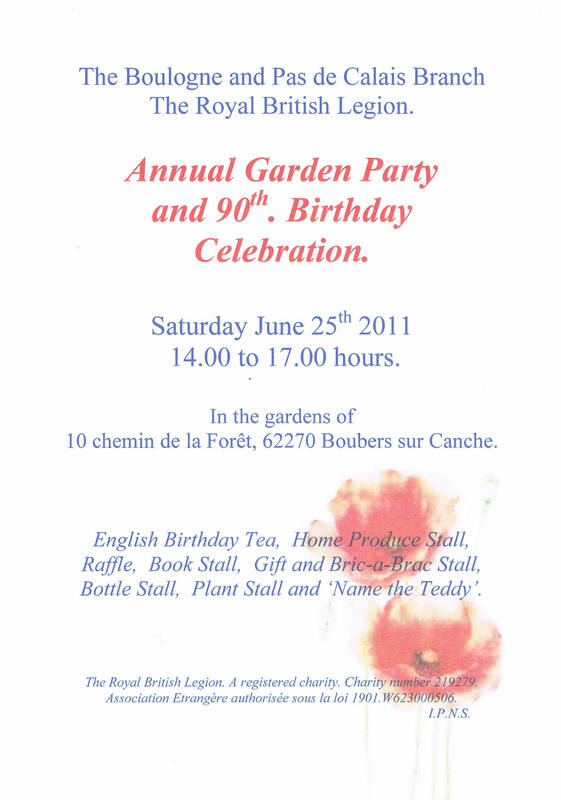 Royal British Legion Garden Party – Reminder! A special wine-tasting event is to take place in the splendid surroundings of the Great Hall of the Chateau de Marconne in aid of the Royal British Legion on Saturday, November 27, at 19h00 . For an entry fee of 15 euros you will sample a range of excellent wines from the cellars of Jean-Phillipe Ardouin of Arras, and a finger buffet will be served. Expert advice and commentary on the wines will be available. 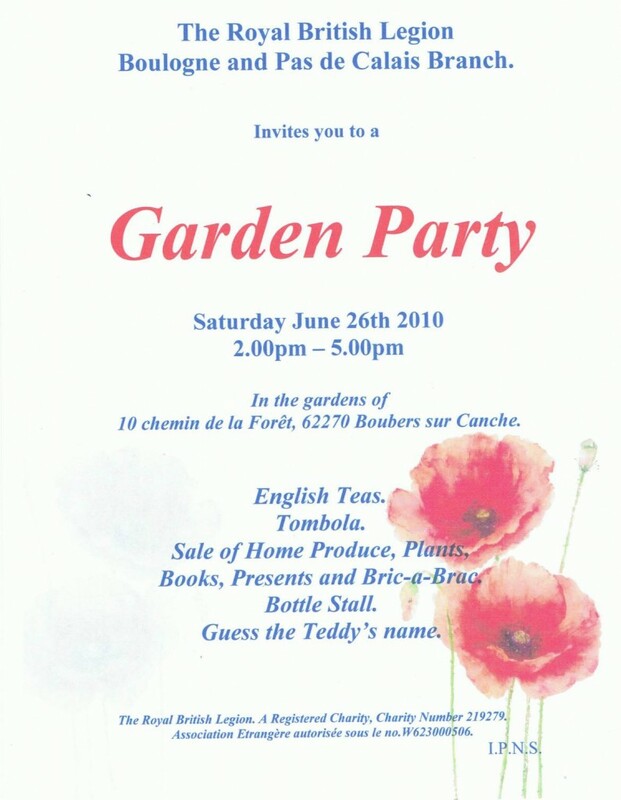 The proceeds from the event will be donated to the Royal British Legion to assist in the continuation of the Legion’s work on behalf of British servicemen and women, their families and dependants. 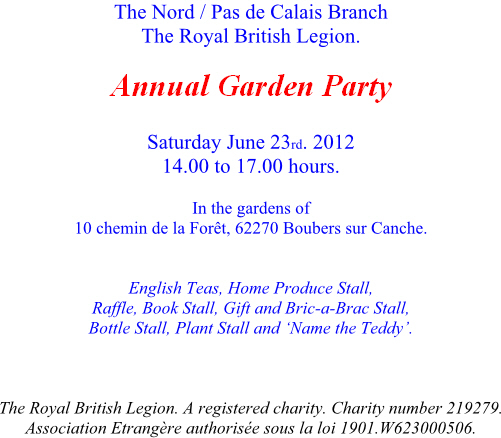 Boulogne and Pas de Calais Branch. BR3415. 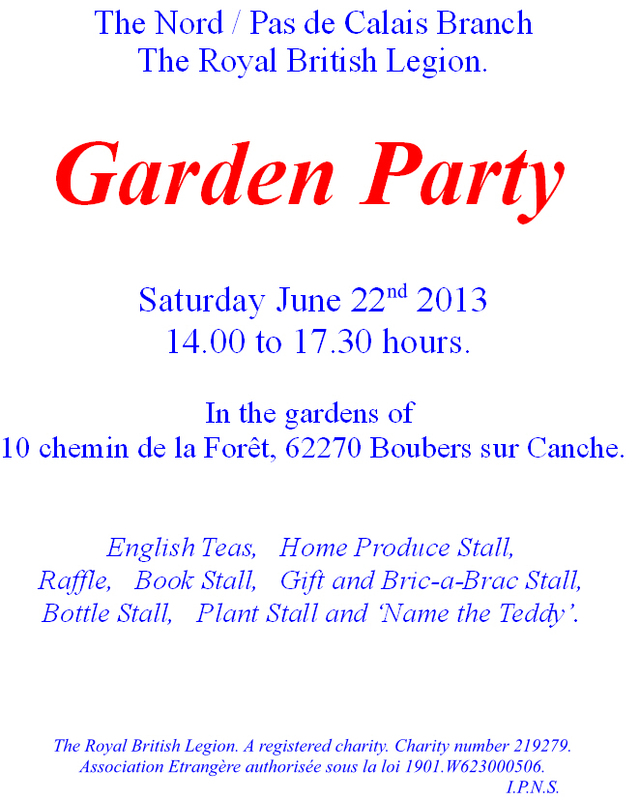 10 Chemin de la Foret, 62270 Boubers sur Canche on Saturday, June 26, 14h00 to 17h00. The Royal British Legion is a non-political, inter denominational and multi racial association with two aims that of honouring the memory of those who died in the many conflicts through out the world , assisting the families of those died and aiding those injured.